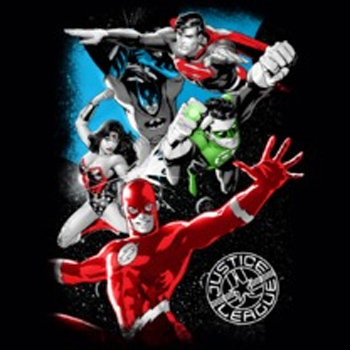 Justice League Galactic Attack juniors T-Shirt. Get in league with the most powerful group of heroes in the DC universe with this 100% cotton, high-quality, pre-shrunk black t-shirt. 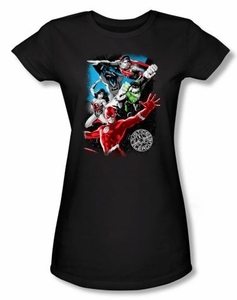 Features Superman, Batman, Wonder Woman, Green Lantern and The Flash!